Folklore is often stronger than Fact. Most of us are aware of folklore, enticing tales that pervade through the centuries be they global like the fabled lost cities of El Dorado or Atlantis. National folklore like King Arthur and Camelot, down to local folklore often based on local gossip and false rumour. All such folklore tends to have the common characteristics of whetting peoples appetites of the unknown. At face value they all seem tangible even if lack of known or credible facts, if any, exist at all. The absence of known facts usually tend to belie the truth of such stories. But so intriguing are some of these myths that individuals have felt compelled to spend their lives attempting to prove them and all without success as far as I am aware. 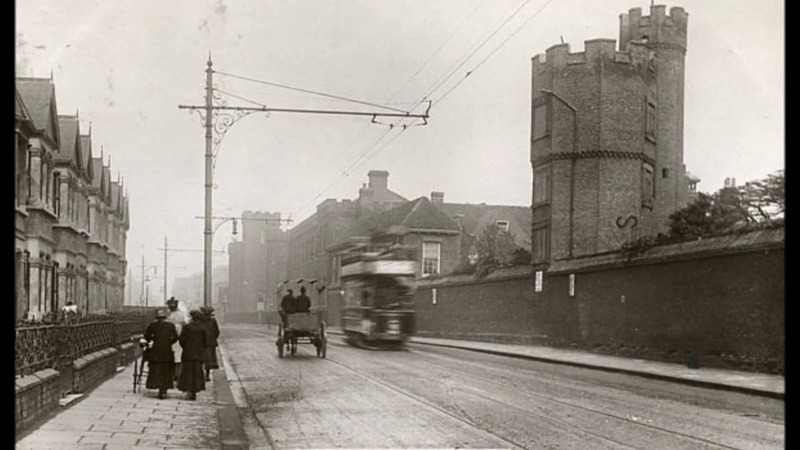 One such piece of local folklore I have been aware of for many years concerns the former Green Street House in Newham in London, which was subsequently dubbed the Boleyn Castle by locals due to a castellated decorative tower which formed part of the building. Locals believe Anne Boleyn once lived there despite there being no evidence to show that she ever did. The myth goes on to say the building was festooned with secret tunnels emanating from the site that were used by Henry VIII for the purposes of secret romantic trysts with Anne Boleyn at a time when he was still married to Catherine of Aragon. It is not quite known when Green Street House was built but there is however a detailed description of the building that was written in the mid-16th century. The building was demolished in 1955 and West Ham Football Club stands on part of its former land hence the name ‘Boleyn’ ground which refers to the club’s football stand. 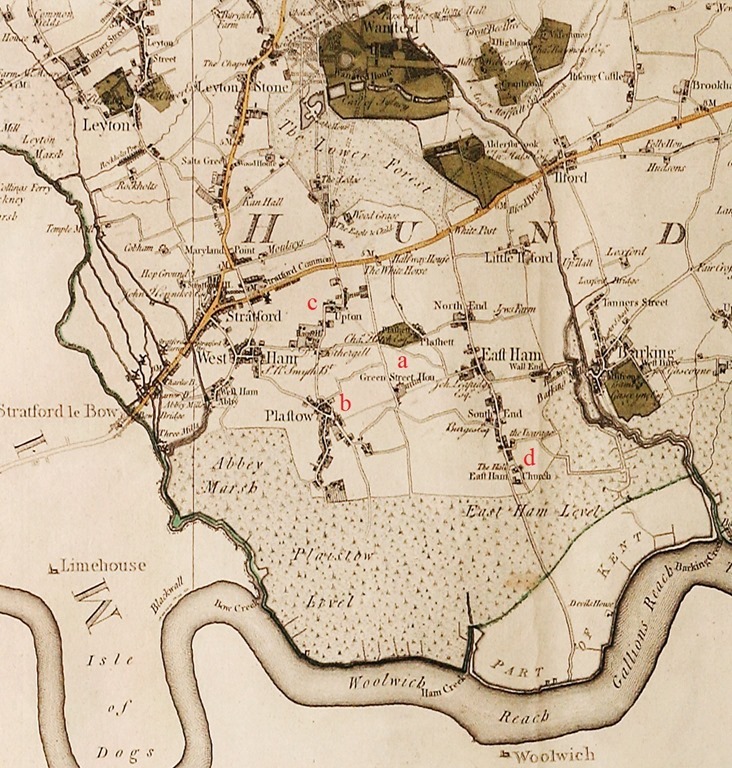 Depending on which version of local folklore is being related, the supposed secret tunnels run from Green Street House marked ‘A’ on the 1777 Chapman & Andre map, to either the Black Lion public house in Plaistow marked ‘B’, the Spotted Dog Inn in Upton Lane marked ‘C’ or, Saint Mary Magdalene Church marked ‘D’. While it is known the Black Lion Public House does indeed have a bricked up tunnel in its basement, the use of secret ‘Priest Holes’, (hiding places built for Roman Catholic priests during Henry VIII’s reign), cannot be discounted. In each case, digging a tunnel to any of these locations would have been a major feet of engineering and could hardly have been classified as secret. It would also not be unreasonable to question if Henry VIII as King of England would need to make his way from Hampton Court Palace presumably with the large entourage that normally accompanied him, and then clandestinely forage through lengthy dirty tunnels to engage in a secret romantic relationship with Anne Boleyn. I personally think this is most unlikely. As for the tunnels themselves, Newham rapidly grew from a cluster of rural hamlets after the late 19th century into a heavily populated and industrialised area including London’s largest shipping docks. The earth was repeatedly dug up during building operations and not once is there any recorded evidence of a tunnel being uncovered. No one who relates the tales of the tunnels has actually seen them, at best it is always some other unknown person that claims to have seen them, or it is a story handed down in the family through the generations. Even if during conversation the lack of any credible evidence is cited, likely local responses are, “You never know, something might still be down there” or, there must be some truth in the rumour otherwise so many people would not know about it. Either way it tends to show that people are often more inclined to believe in folklore rather than fact.